Ashok Leyland has completed the acquisition of Nissan Motor Co.’s stake in the three Light Commercial Vehicle joint-ventures. Between the two companies — Ashok Leyland Nissan-Vehicles Ltd, Nissan-Ashok Leyland Powertrain Ltd and Nissan-Ashok Leyland Technologies Ltd were functioning as JV and now Ashok Leyland has purchased all of them. Ashok Leyland and Nissan had announced an arrangement under which Nissan would transfer its ownership in the three units to Ashok Leyland subject to statutory approvals in September. “With all necessary statutory approvals now in place the acquisition was completed for a consolidated consideration of Rs 3 paid by Ashok Leyland for all the shares of the three JVs,” Ashok Leyland said in a statement. 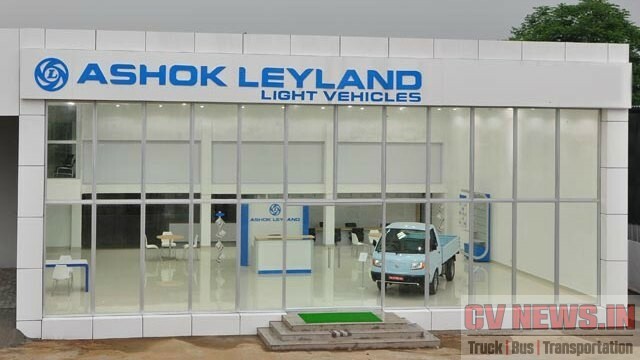 Ashok Leyland is very positive on the future of the LCV (light commercial vehicle) business which is growing. While they have acquired 100% ownership of the JVs, they will continue to be associated with Nissan for the technology of the existing Dost, Partner, and Mitr models. These are very important products for the Company and hold tremendous potential both within and outside India. And with this the association with Nissan will continue in a new relationship. Ashok Leyland will continue to build, under a licensing agreement, the Dost, Mitr, and Partner LCVs, which are based on Nissan’s design, engineering and technology. Servicing and parts availability for customers will be ensured by a technical support arrangement. In addition, the two companies have agreed to continue a deal to procure made-in-India parts for Nissan. The development brings to an end months of acrimony between the two partners. The JV between Ashok Leyland and Nissan had come under strain as key products — Ashok Leyland Stile and Nissan Evalia — failed to make their mark in the market. In 2014-15, Ashok Leyland announced it had made an impairment provision of Rs 214 crore out of a total investment of Rs 509 crore in the three entities. The last running “Leyland Comet DD” will now be a history. Will Ash Ley save him? Be the first to comment on "Ashok Leyland enters into licensing agreement with Nissan for Dost, Partner and Mitr"